JACKSON, Miss. (FinalCall.com) - Blacks have and still suffer a lot in the state of Mississippi, one of the epicenters of slavery, sharecropping, the Civil War, segregation and the Civil Rights Movement. 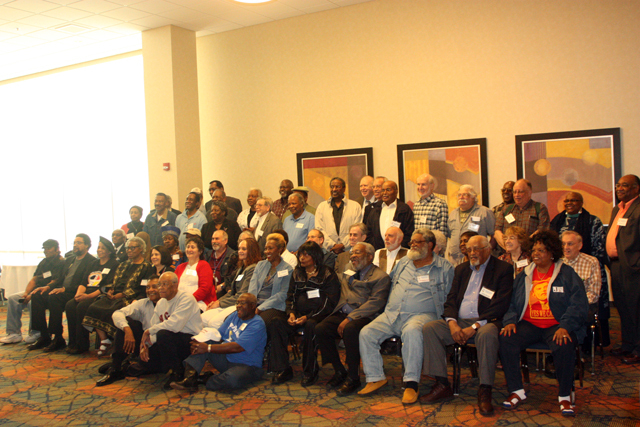 A group of veterans of the struggle convened a four-day conference on the campus of Jackson State University to discuss 50 years of history and the need for a new movement in education. “This is necessary because of the damage that is being done to our young people in the public schools system around the country and, particularly, right here in the state of Mississippi. We're concerned about the quality of education that is available. We're calling for a new day for our youth,” said Owen Brooks, executive director of the Veterans of the Mississippi Civil Rights Movement, the host group. Guest speakers and panelists included the Honorable Minister Louis Farrakhan; former Washington, D.C., Mayor Marion Barry; attorney Karima Al-Amin, wife of Imam Jamil Al-Amin; Myrie Evers Williams, widow of the late activist Medger Evers; former U.S. Dept. 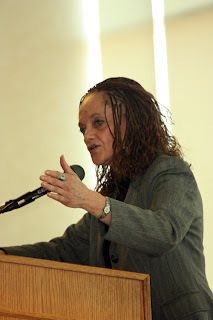 of Agriculture official Shirley Sherrod; professor Haki Madhubuti; and Kathleen Cleaver, a former member of the Black Panther Party. “When we talk about civil rights, when we talk about Black power, what we're really talking about are communities that are part of a revolutionary transformation in this society. When I say revolutionary, it means we want to move from what was oppressive to what is free,” said attorney Cleaver during the March 25 luncheon. “Racism is still alive and well and the struggle is not over. Even though we have made a lot of progress in terms of some things, we still have a heck of a long distance to go. White people have moved from the sheets to the suites and they have a clever way of keeping us oppressed and keeping us down,” Mr. Barry, who was born in nearby Leflore County, told The Final Call. 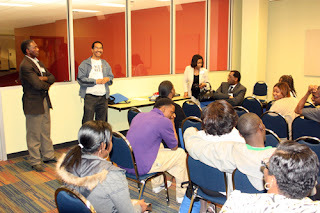 Concurrent workshops throughout the conference addressed topics such as Islamophobia, religious tolerance, grassroots organizing, immigration, racial profiling, Haiti, Katrina, family life, the attack on free speech, failing schools, and new media strategies. In a session regarding online organizing, Dr. Kimberly Ellis of Pittsburgh emphasized how powerful cell phones and social media has become and why people should overcome their technophobia, a fear or dislike of technology. “How many of you have a mobile phone? You have the tool of the century. You may have heard that we have a digital divide, which is true when it comes to the computer. However, when it comes to the mobile phone, there is no digital divide. 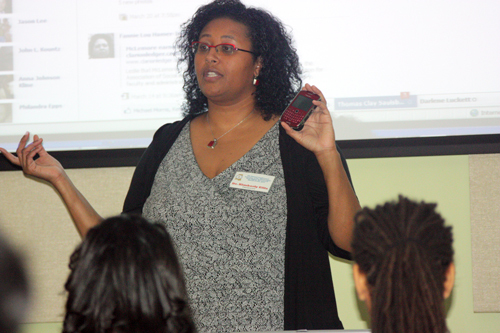 This is the wave of the future and changes how you're organizing,” said Dr. Ellis. Conference organizers also ensured that youth had an opportunity to have intimate story-telling circles with their elders to receive firsthand accounts of what truly happened and what is needed. “This year, as always, we have tried to reach out to the youth to get them involved in this conference. As you can see, all of the people who are involved in the organizing of this conference, we're all getting older. We're trying to preserve our history so the young people will understand what we did, why we did it and why there is still a need for a movement,” said Euvester Simpson. In 1963, she shared a jail cell with Fannie Lou Hamer for integrating the Whites-only waiting room of a bus station in Winona, Miss. “As long as the lion tells the story, he will be king of the jungle. We must tell our young people our story. It is not in textbooks and they do not learn it in school. We have a responsibility to write books and impart knowledge. It's a different climate now and you can't see concretely the things White people are doing to us but you can feel it. We have to get the youth to see that there is still a need to struggle,” said Mr. Barry, who spoke at the opening plenary on March 24. 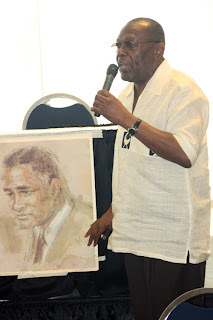 “The history of the movement must be preserved and the best way to preserve the history is to have those who have been involved to tell their stories and record them,” said Mr. Brooks. “This conference gives us an opportunity to come together and share war stories with young people and to give them a feeling of what you struggled with. If they don't know the roots of the struggle, they can't move forward in life,” stated Akbar Muhammad, a long-time assistant and companion to the Hon. 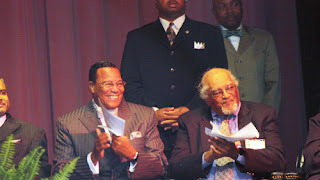 Minister Louis Farrakhan, during the auction of African artifacts on March 25. Cynthia Palmer, coordinator and web editor for the veterans' civil rights group, said the group is planning to bring the conference back to Jackson State next year and engage the student body year round. “We will continue to work to have as many of our veterans interact with the students on campus and mentor them. We are also working to complete our digitization of 200 interviews we have with civil rights leaders, historians, and activists. The work continues and we need our youth to know the true story,” Ms. Palmer told The Final Call.